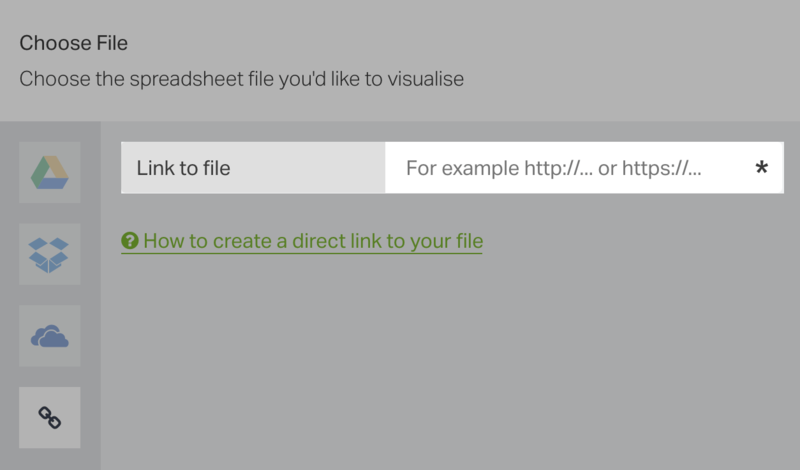 First, create a sharing link of your Google Sheet. 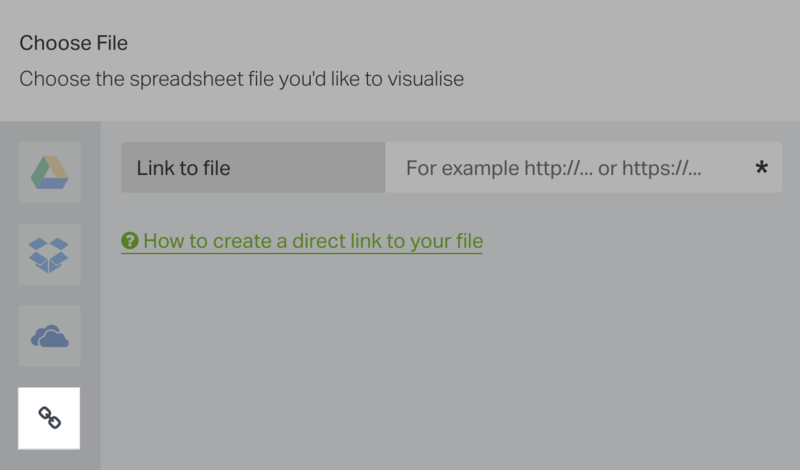 Open your spreadsheet in Google Drive. Click the blue Share button in the top right hand corner to open the Share with others modal. In the popup window select either On - Anyone with link can view or On - Public on the web. Back on the Share with others modal, click Copy link to copy your sharing link. Click Done to close the Share with others modal. Now to create the sharing link. We recommend using this link generator tool to receive a direct download link. 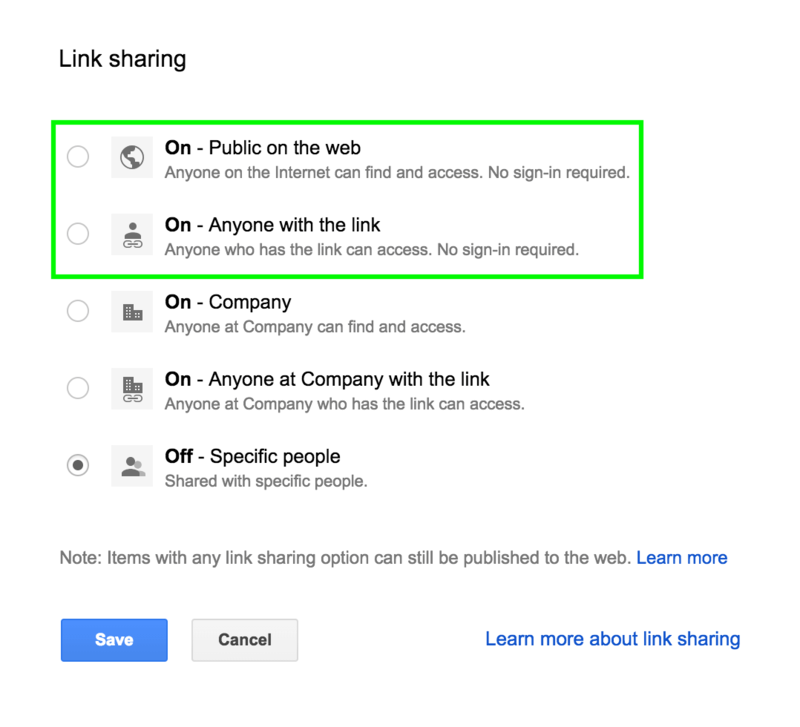 Enter your generated link from Google in the Enter Share Link field and click Generate. Next we'll need to change the generated URL because this link will download in PDF format by default. Copy the generated URL and paste into a text editor. To make it download in .xlsx format, change the end of the URL from ?format=pdf to ?format=xlsx. Now you're ready to use the edited link in Geckoboard! Hover your cursor over the dashboard square you would like to position your new widget and click the + button. Search for Spreadsheets using the Search sources field. Alternatively, you can also click the Spreadsheets button. Copy and Paste your URL in the Link to file field. You can now continue updating your Google Sheet as usual and it will automatically sync with Geckoboard via the generated link. Now that you've linked up your spreadsheet with Geckoboard, you can now begin creating visualizations using your spreadsheet.